Intel has been around for decades, but they weren’t fast enough to make a movement to mobile, and now AMD, Qualcomm and other ARM-based variants run the mobile processor market. We are starting to see Intel scramble to the mobile arena, with a few budget-smartphones that run their chips. Intel has strong ties with Microsoft and this could work out well if the PC/tablet hybrid market explodes, which we are still undecided about. Intel seem to believe that a worldwide recognition is what they need to spark life. The Yolo phone, which hopefully means something else in Kenya, is a very powerful budget end smartphone for Kenya and possibly all of Africa. This is one of Intel’s first real movements in the mobile world, in building a phone that is truly theirs. 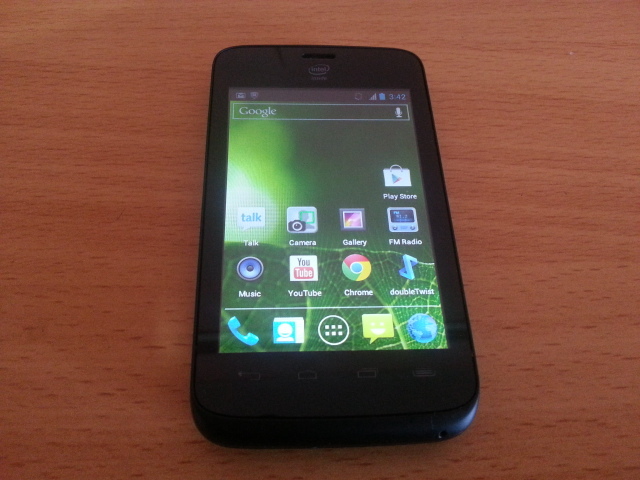 They have partnered up with Safaricom to launch the smartphone in Kenya. The phone is very cheap, priced atKEN10,999 or about US $126, it is evidently made for lower end that have never been able to use HSPA services and connect with the internet on a phone. This could be a very impressive move by Intel, in establishing a network outside the US and Europe where most of the high-tier market is covered by endless Android variants, the iPhone, Windows phone and now BlackBerry 10. We will see if this move pays off in the long run, for a phone with Ice Cream Sandwich, 1.2GHz of processing speed and performance that outmatches the Galaxy Note, it is an impressive phone for an impressive price.